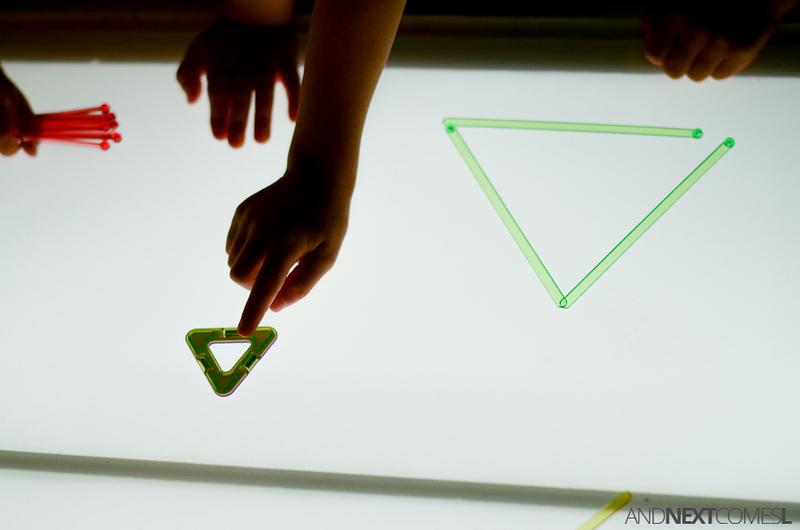 With colder winter temperatures comes more indoor play, which inevitably means more light table activities in our house. 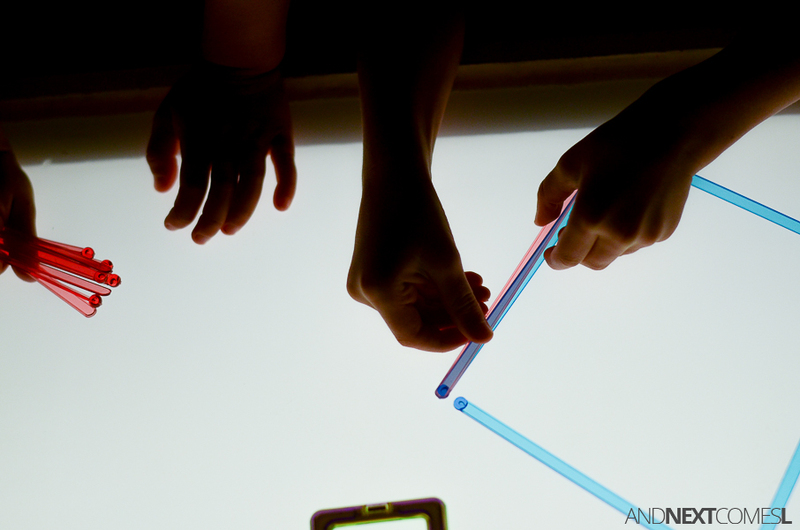 Six year old J, in particular, has been showing a renewed interest in playing on the DIY light table. In fact, as soon as we get home from school, he runs downstairs to the playroom to do some light play. It's his way of calming down after a busy day at school. 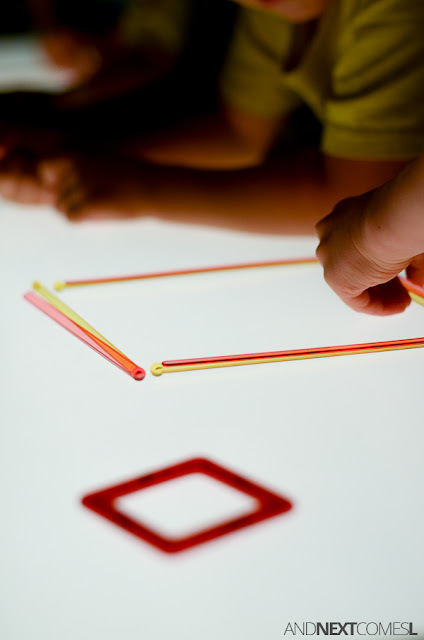 I've always said that light table play is calming for kids. 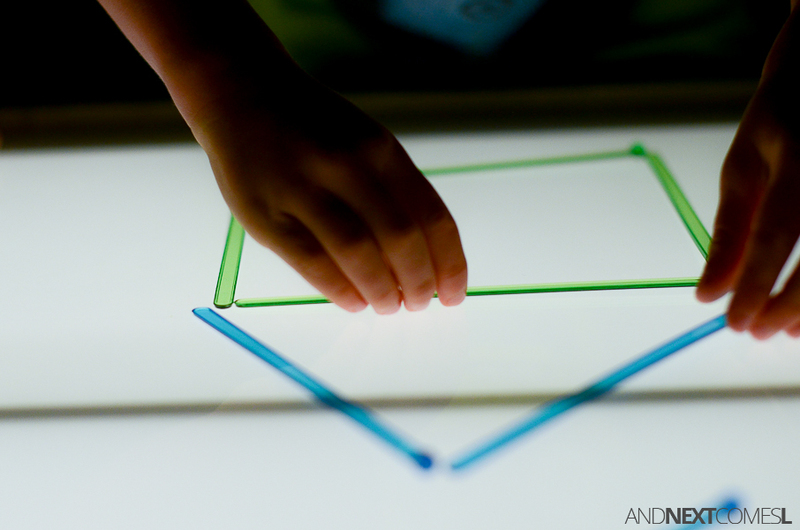 Lately, J really enjoys exploring and playing with the translucent cocktail stirrers on the light table. I've occasionally found him chewing on them too, but that's a whole other issue. 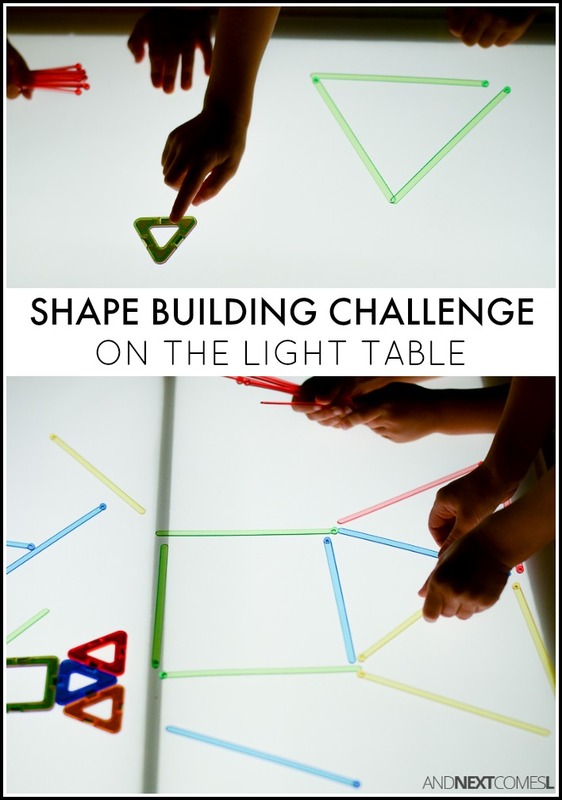 Usually, like 90% of the time, he manipulates the stirrers to create numbers and other math related things, which is why we recently did this shape building light table activity together. 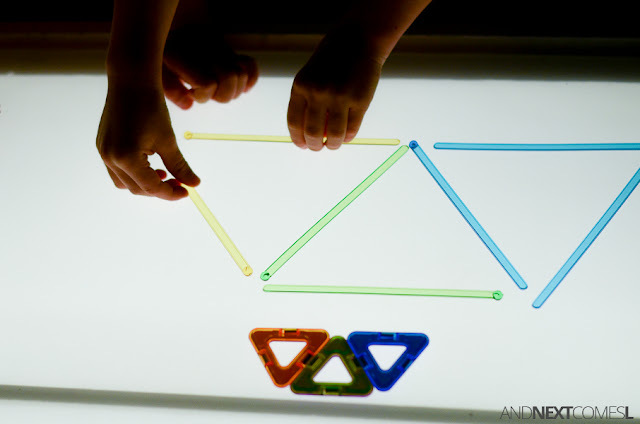 Simply create a shape using the Magformers on the light table and encourage your kids to recreate them using the same colors (if possible). 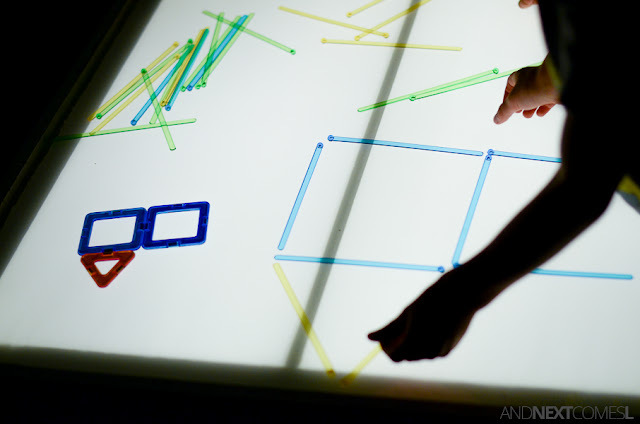 Or have the kids create their own shapes and recreate them as well. So for instance, my boys created blue squares to match the blue square Magformers. You can also combine different Magformers to create more complex shapes like houses or triangle patterns. 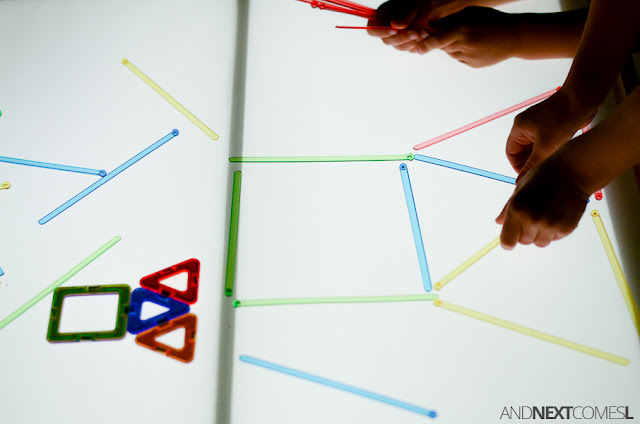 The kids can also explore color mixing with the cocktail stirrers, especially if they are trying to match the stirrers' colors to the Magformers. My boys layered two cocktail stirrers to create purple and orange to match the Magformers, for example. 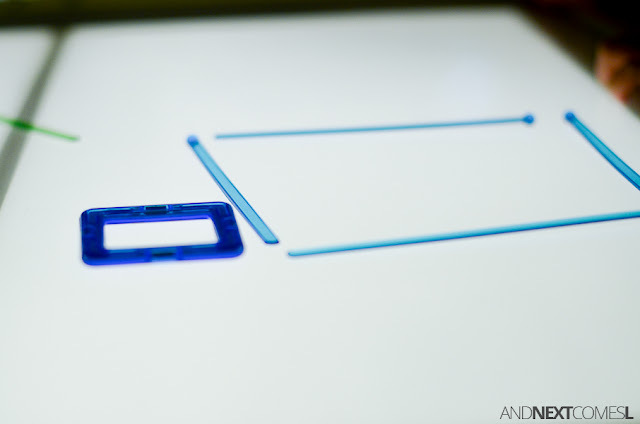 Then be sure to keep experimenting with more elaborate and complex shapes as you please. The possibilities are endless!